2016 saw a huge rise in smart home tech. 2017 smart home gadgets will continue to increase, but which will be the most successful? Several powerhouse brands will continue growing: Amazon, Philips Hue, ecobee3, Google Home, Arlo, and others continue releasing new products that will grow public knowledge and acceptance of smart home products. 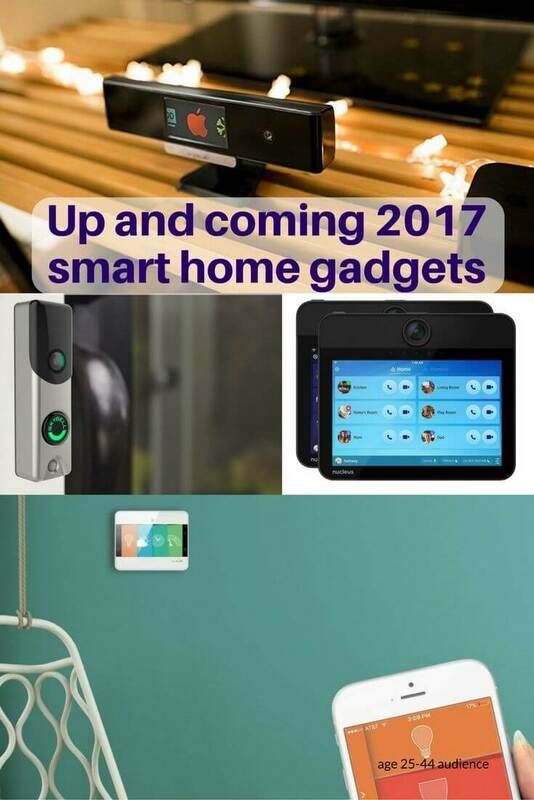 Beyond the top smart home brands, which up and coming smart home gadgets will leave an impact on the smart home market in 2017? Here are our predictions. Control your entire smart home using the Sevenhugs smart remote. The highly compatible remote already works with IFTTT, Nest, Hue, SmartThings, Roku, AppleTV, and many others. 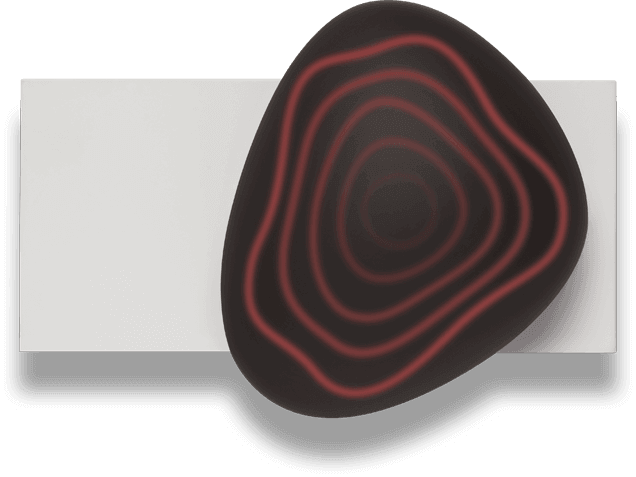 Simply point this smart remote at your devices and the remote’s screen automatically changes its controls. Its slick design and high compatibility earned it Most Innovative Product Award at CES 2017. While voice control was big during 2016, it has its drawbacks. With Alexa devices, you have to enable IFTTT and say a specific phrase like, “Alexa, trigger blue lights.” In comparison, Sevenhugs is much easier, letting you control the devices around your home with a quick touch. This works alongside voice controls as a tool that is faster to learn. 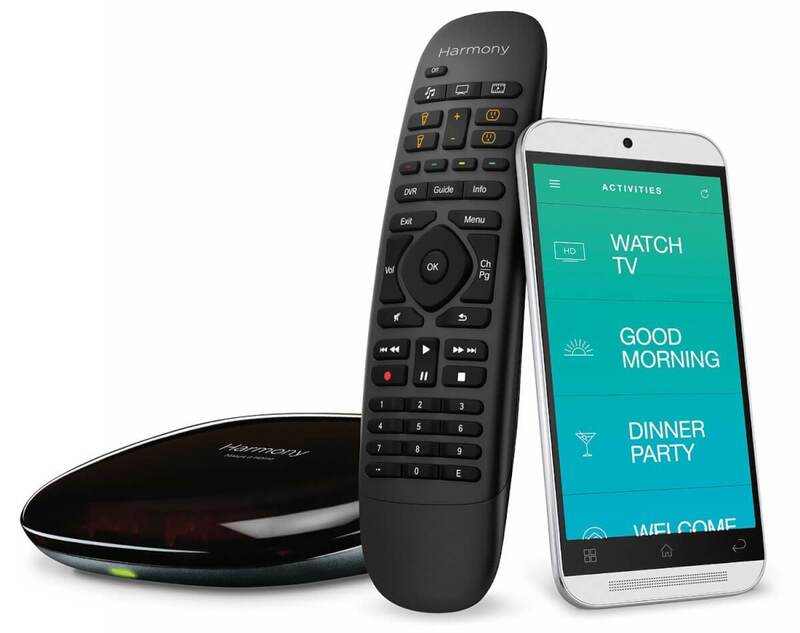 Expect to see smart remotes in future smart homes. 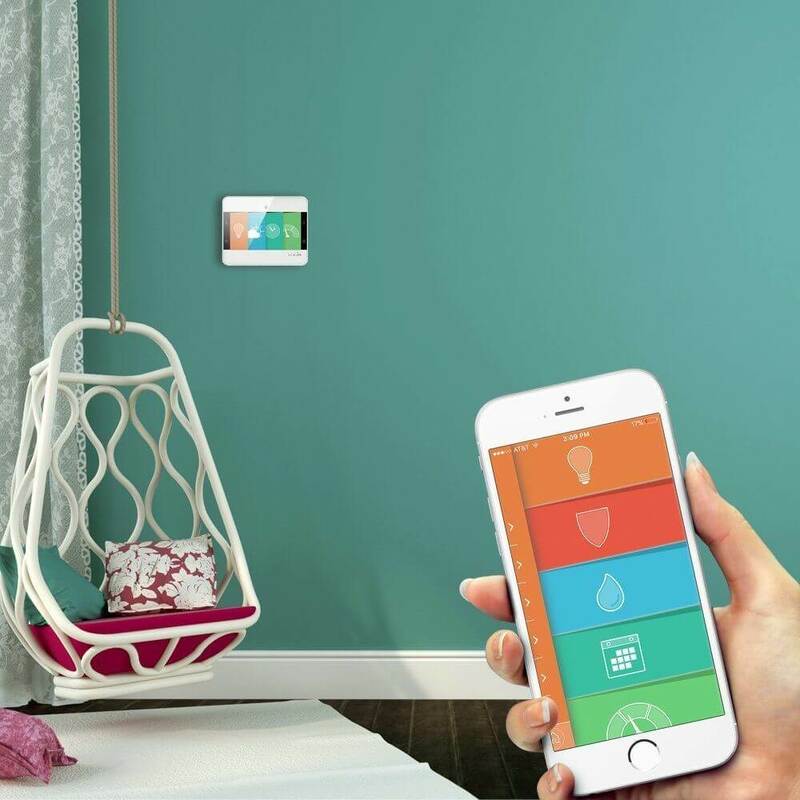 NuBryte’s bright “family hub” screen is designed to replace a traditional light switch for all-in-one home automation. The 100-decibel siren, indoor/outdoor temperature information, calendar and notifications, built-in security camera, night light, and other features are all offered without monthly fees or contracts. While NuBryte has its glitches to resolve, the thought of automating your home using both an app and a smart device is more accessible for some users. Compared to struggling through the Alexa, SmartThings, or Apple Home app, NuBryte has both an app and a physical screen for controlling your home. This makes it easier to control and solves the issue of needing a smartphone nearby at all times to adjust the different features of your home. As IoT devices increase, so will the need for stronger security. Plenty of devices come with weak security, as proven by the Dyn cyber attack earlier in 2016. Swearing off connected devices isn’t the answer. Popular tech products like printers, DVRs, security cameras, smartphones, and computers are all hackable, but we use them anyway. The key to increasing usability for 2017 smart home trends is to boost security. Dojo is one device looking to solve this problem by monitoring devices connected to your Internet and blocking malware or security breaches. 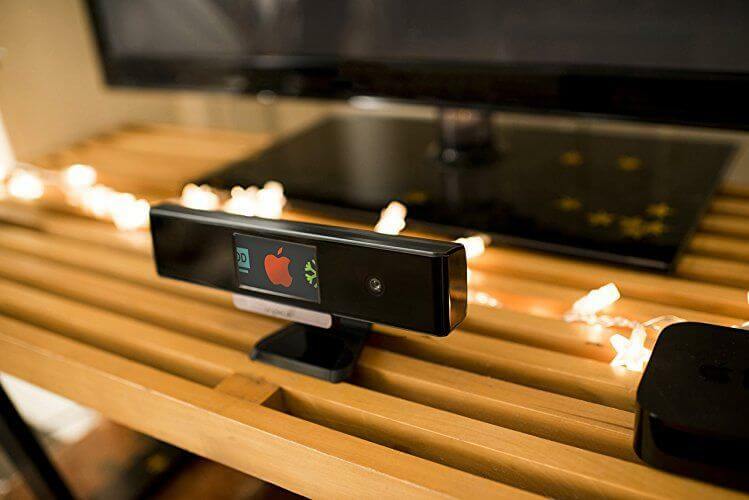 Its design allows Dojo to easily move around your home. It glows when a threat is detected, prompting users to find out details of the threat in the Dojo app. Smart doorbells are one of the most useful smart home devices. Reviewing footage to see who came to your door during the day can prevent break-ins, stolen packages, or even missed visitors. But many smart doorbells offer limited or no free cloud storage. Paying an eternal monthly fee to monitor your front door is not a preferred option for most people. Even a fee as little as $5 per month is $60 a year, or $600 over 10 years. SkyBell is the most reputable smart doorbell that offers free recording and video downloading. Their new SkyBell Trim Plus will likely ship during 2017. It’s thin enough to fit on most door frames, with a minimalist shape that takes up far less space than the original. It will have all the same features as the SkyBell HD, including muting, Alexa controls, and two-way talk. Ecobee is known for its ecobee3, but even the most impressive thermostat will not get mass acceptance with such a high pricetag. The ecobee3 Lite has the same features, but without the remote sensor. Its low price, high quality, and beautiful design will encourage more homeowners to make the leap and purchase a smart thermostat. As prices of smart thermostats continue to fall, sales and mass acceptance will continue increasing. In October, Logitech announced Alexa integration with their Harmony hub and remote, making the phrase “Alexa, turn on Netflix” a possibility. It can also act as a hub to control your blinds, lights, locks, and thermostats in different scenes, like “good morning” or “welcome home.” While this remote was already popular, its Alexa integration will make it even more well-known as users want to control their TV and automate their home using Alexa. 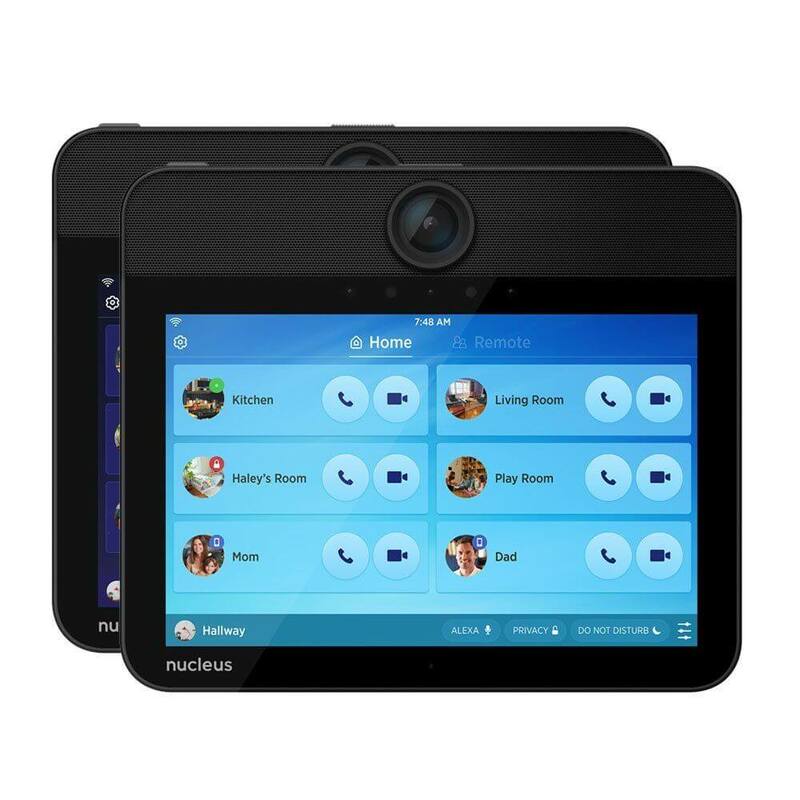 Nucleus is looking to bring back the home intercom system into the 2017 smart home scene. With its built-in wide-angle HD camera, Alexa compatibility, and WiFi or Ethernet connection, it’s an excellent system for announcing dinner is ready to the noisy playroom upstairs. The intercoms can also communicate long-distance, meaning you can purchase a set and use it to check in on grandma or your son at college. You can even set up an auto answer so that the person on the other end doesn’t have to touch anything for the call to connect. It also has an interactive mobile app for using the video chat system on the go. 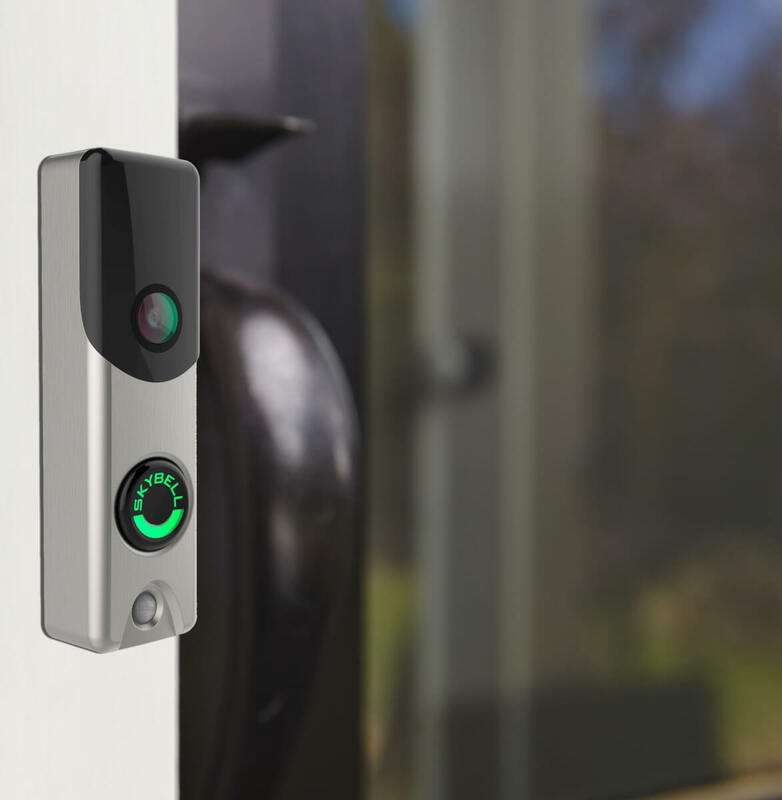 Home security is one of the main drivers of the smart home market. Traditional outdoor security cameras came with a DVR system and four or five cameras, which had to be wired into the DVR. A new wave of WiFi-connected outdoor security cameras is simplifying home security with wireless connections. Videos are usually stored on the cloud, though some cameras offer local storage. 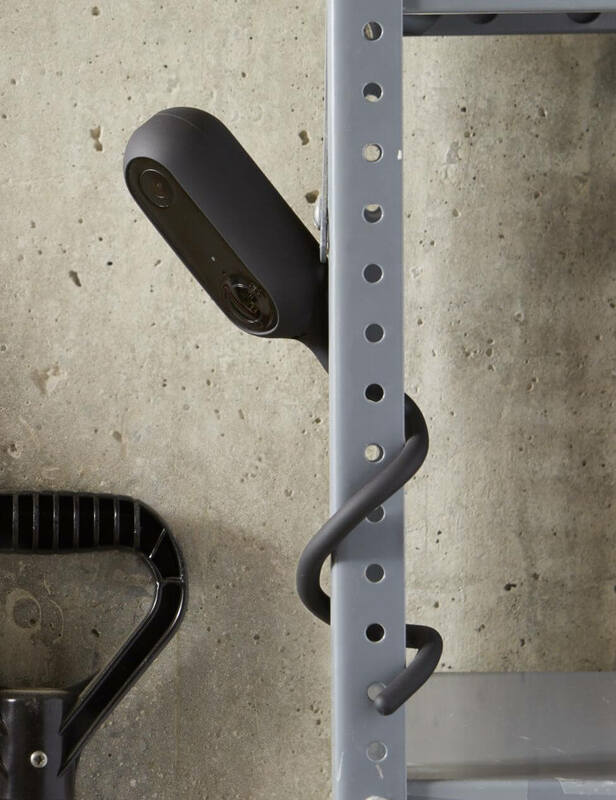 Canary released its outdoor camera the Canary Flex in 2016. Its battery or outlet power, 24 free cloud storage, and flexible installation make it a big contender for successful 2017 smart home gadgets. If you need more cloud storage, Arlo Pro is also an excellent option. If you’ve ever wished you could wave your finger in the air to change the channel, singlecue is the gadget you need. Beyond TV controls, just slide your finger and tap to adjust your Nest thermostat, Philips Hue lights, Apple TV, or other home devices. You can mute the tv by just putting your finger to your lips in a “shush” motion. If that doesn’t impress your guests, I’m not sure what will. Noticing a trend? Many up and coming 2017 smart home devices are looking to unify the smart home through all-in-one controls. That’s partly because the smart home is in a confusing place, with many users controlling devices in individual product apps. This is fine, but the annoyance of finding your phone, unlocking it, and navigating to the app just to change the lights isn’t exactly smart. Sevenhugs, NuBryte, Logitech, and eyeSight are all looking to fix this problem in 2017. We’ll see who emerges the winner.